One of Jay Chou's popular songs has recently been turned into serious teaching materials for Taiwan primary schoolers. Jay, furiously popular in Asia, once had his lyrics included in the exam question for senior high school students. One Taiwan university student even chose to write about Jay's phenomenon as subject matter for their thesis. 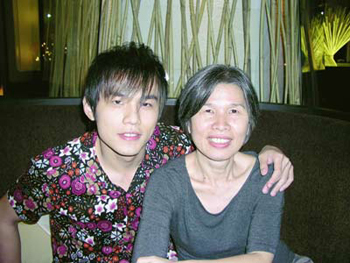 The song, Listen to Your Mom's Advice from Jay's new album, has touching lyrics, which was considered educationally significant by some Taiwan teachers. When Jay was informed this news, he said, "I'm so happy, my goal of writing this song has been achieved." Jay's latest album Still Fantasy has reportedly sold 3 million copies in Asia.